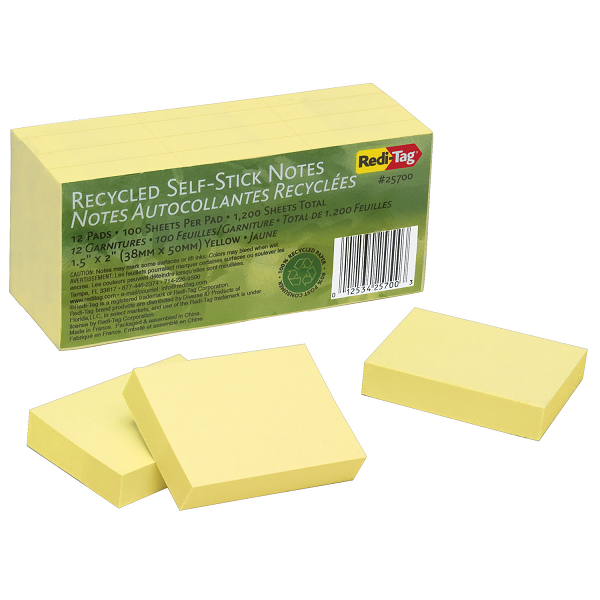 RediTag | Page Flags, Sticky Notes, & Index Tabs | Yellow Sticky Noes - 1.5" x 2"
Yellow Sticky Noes - 1.5" x 2"
Our 100% recycled notes are made from 80% Post-Consumer Content - that means less in the landfill. Superior quality adhesive and smooth write-ability. 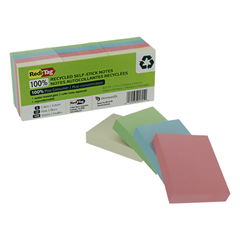 Sticky Notes, Assorted Colors - 1.5" x 2"